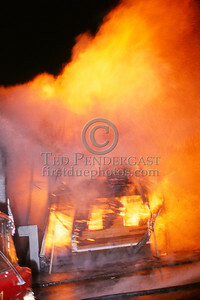 Engine 39 and Ladder 18 arrived to find this 3-decker under renovation fully involved on West 6th Street in Southie. 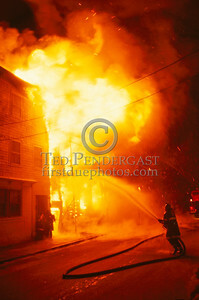 The fire communicated to an adjacent 3-decker on West 6th and another around the corner on D Street. 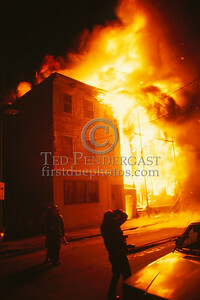 The building collapsed a short time later. 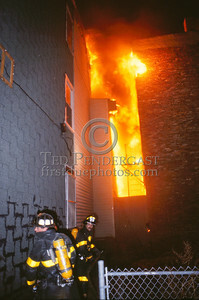 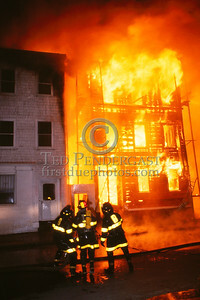 Feb. 20, 1987 - Boston, MA - 6 Alarms, West 6th St and D St. - "Charge The Line!" 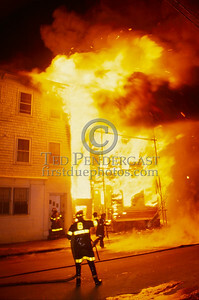 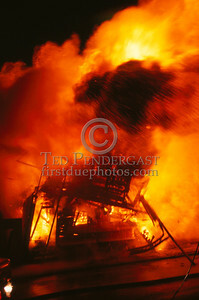 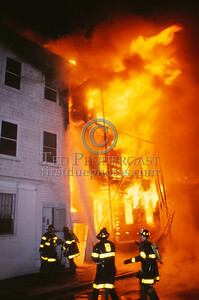 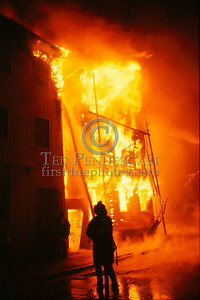 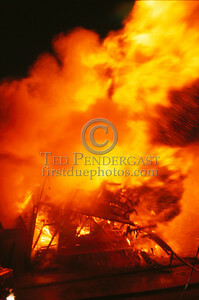 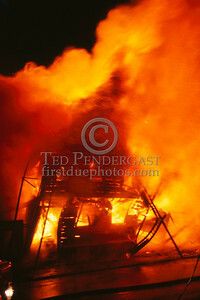 Feb. 20, 1987 - Boston, MA - 6 Alarms, West 6th St and D St. - The view from the D Street side. 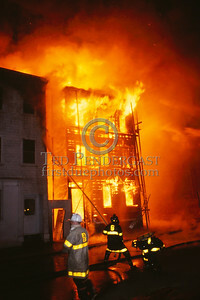 Three buildings going now.